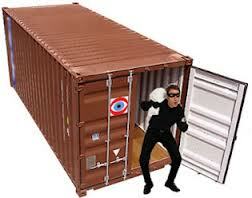 The Belgium-based Kassandra has unveiled a series of products to help identify container thefts. The b.Alert system which can detect any illegal interference is said to be a boon to the scrap metal industry troubled with repeated incidents of thefts. The b.Alert solutions come in six variants- b.Alert Connect, b.Alert Basic,b.Alert Machine, b.Alert On-Demand, b.Alert Fuel, b.Alert Fleet. b.Alert Connect protects trailers and their cargo, wherever they are; furthermore it will improve operational efficiency and cut costs. When the trailer is stationary, whether coupled to a tractor or not, alarms can be set to warn you of unexpected intrusions, unexpected movements, even an unexpected coupling. When the trailer is being pulled, it can be exactly seen. And, if it got stolen, the trailer and the load can be recovered very quickly. b.Alert Basic gives one location of the asset per day. So you can see not only where it is today but how many days it has been there, which may be useful for billing and other purposes. If you suspect that your asset has been stolen, the location update interval can be increased so that you can arrange for an urgent interception. b.Alert Machine tracks and traces your machines in the field, enabling easy arrangement of pick-ups, giving useful information for billing, and more. Alarms can be set for “improper” or suspicious use e.g. usage at weekends. If the unit is mounted on the fuel tank, then it can also detect fuel thefts. b.Alert On Demand can look very inconspicuous making it hard for thieves to notice it visually . It is also designed to minimise detectable communication activity so thieves will find it hard to detect that way too. b.Alert Fuel is fitted near to the mouth of the tank and detects suspicious activity by detecting vibrations. Opening the lid, drilling holes, knocking etc. will all trigger an alarm. b.Alert Fleet will allow you to track and trace your fleet, using the data to optimise the operational efficiency of your fleet and drive down costs. Daily timesheet and journey reporting including routes and distances driven.